This well-known company in the financial services industry operates a global network of 287,000 locations in 147 countries and serves millions of happy customers. The biggest driver of that growth? Good, old-fashioned word-of-mouth. So, when the company began to build out its digital business, incorporating referral marketing technology was a no-brainer. At scale, the company expected referrals to become the engine driving its new customer acquisition efforts, ideally at a low CPA and with minimal customer service issues. 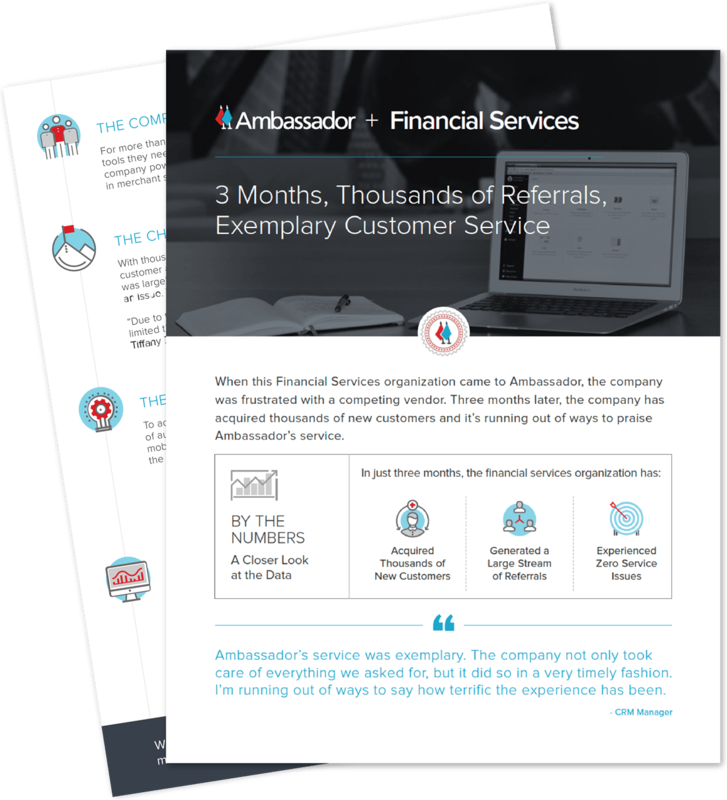 To reach that goal, the company initially opted to invest in a competing referral marketing platform. However, the marketing team was unimpressed with the software and level of support they received and reached out to Ambassador.